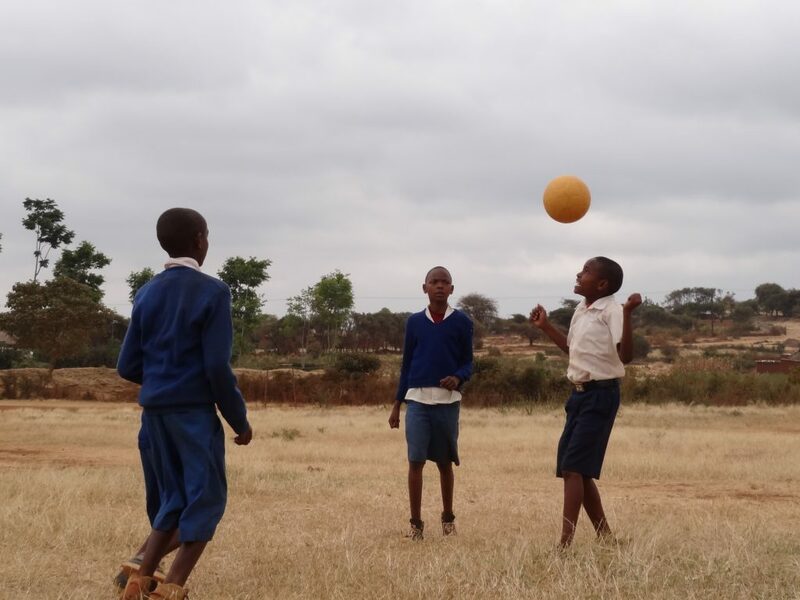 Leaving Singida to reach Arusha, we passed Katesh school at morning break time and saw a number of groups of children playing with their homemade footballs in the school playground. 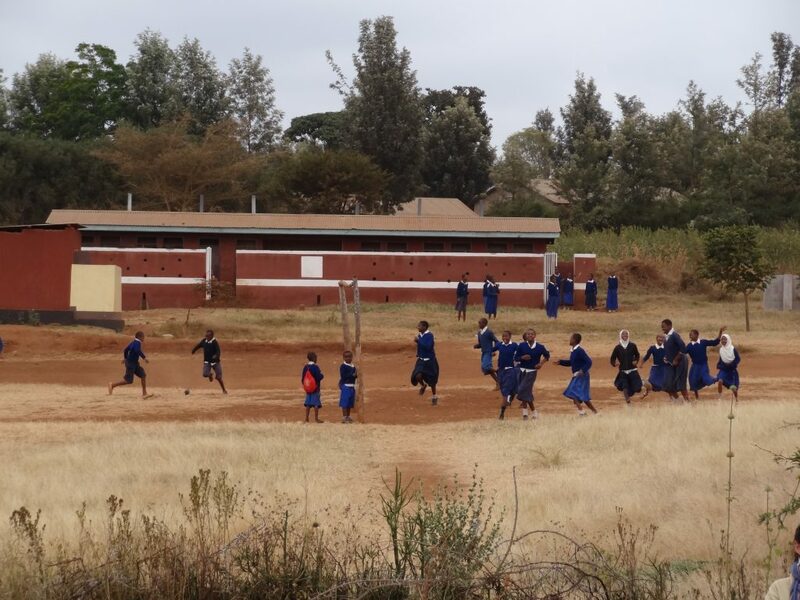 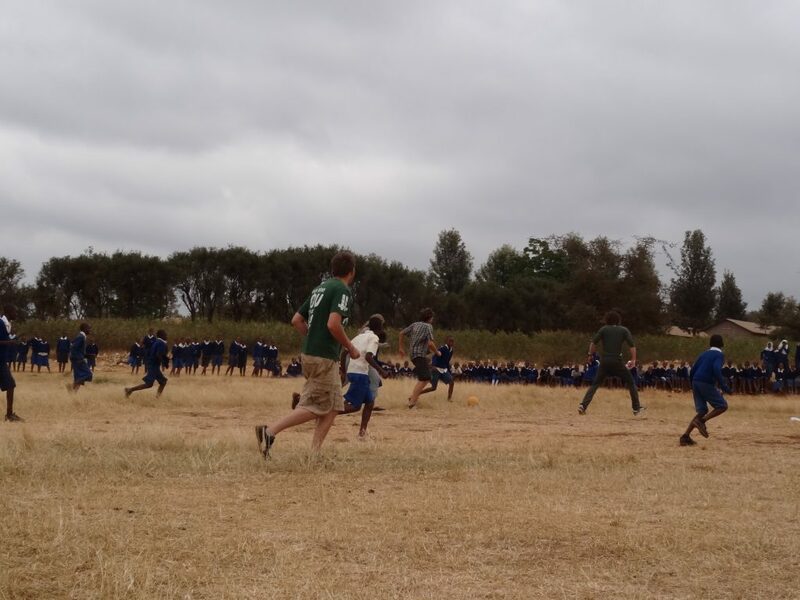 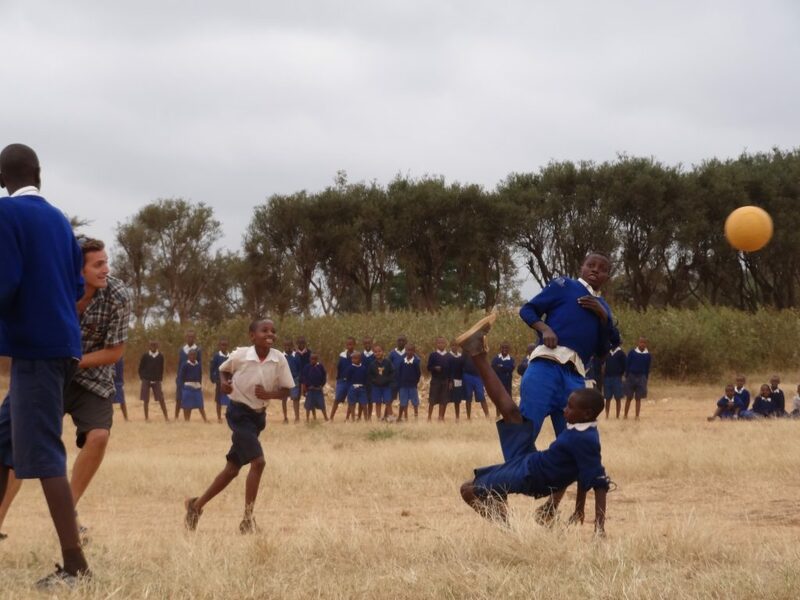 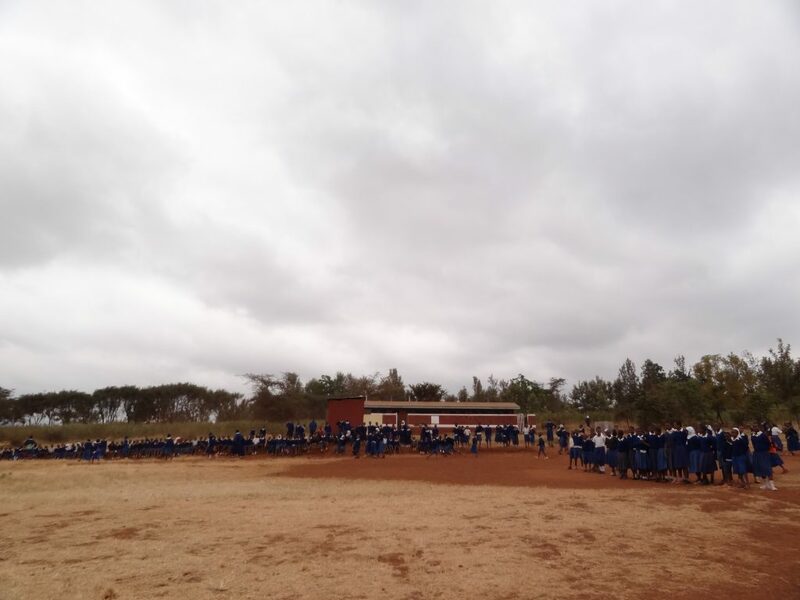 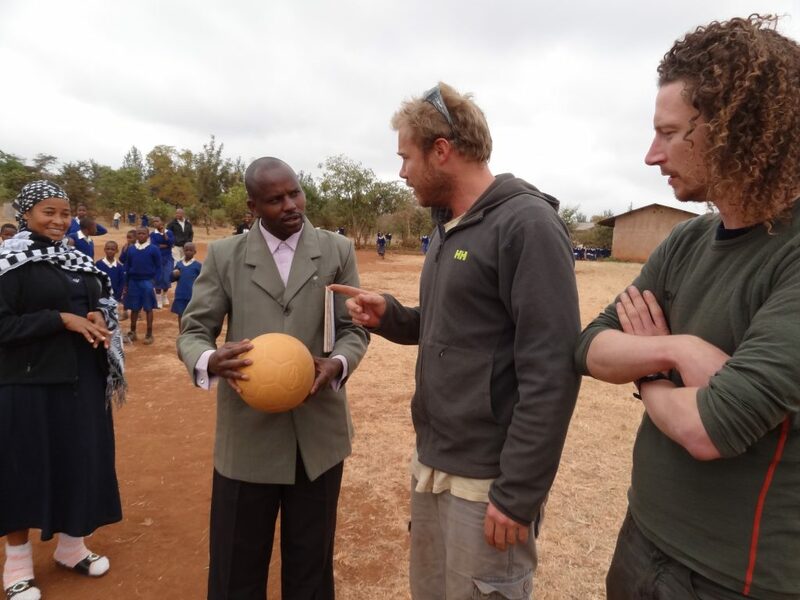 We spoke to the Headmaster who was very excited about the project and welcomed the team in for a quick football match with the school team before class started again. 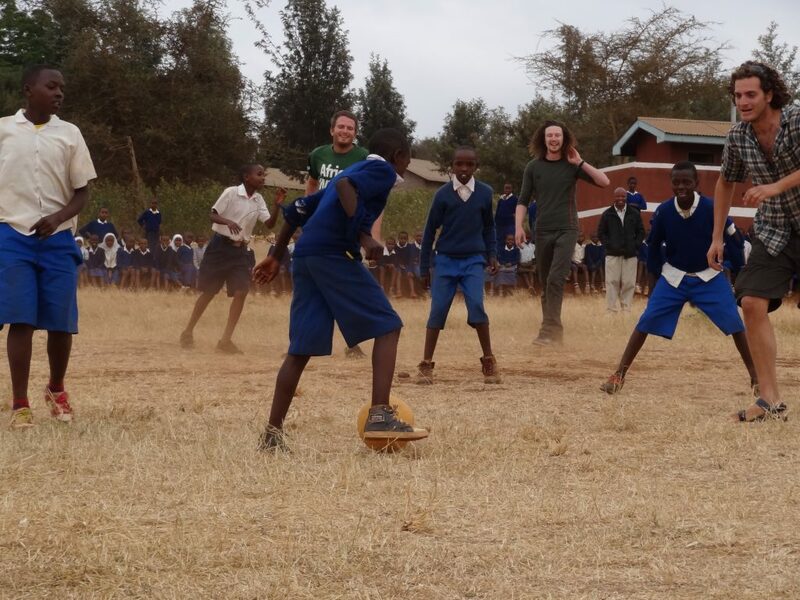 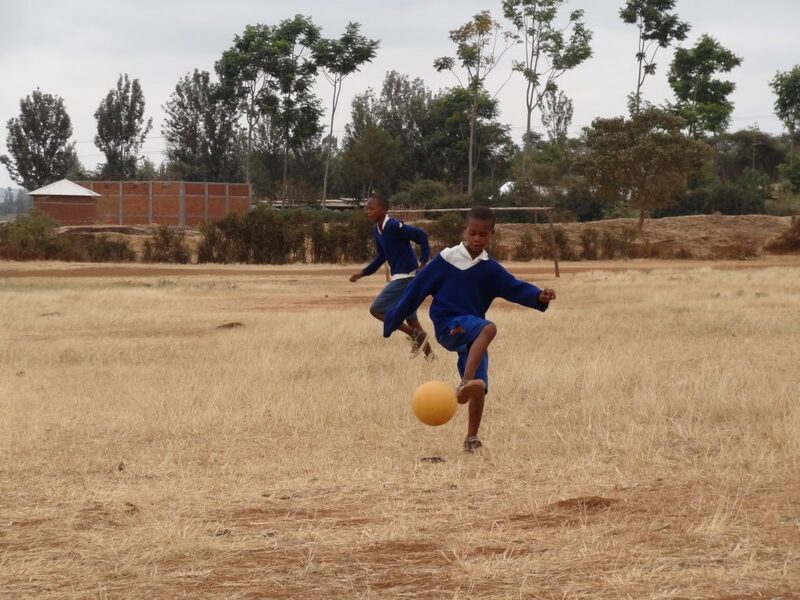 Thankfully for the Africa Goal team, there was only limited playtime left for the school’s team to show off their rather superior skills! 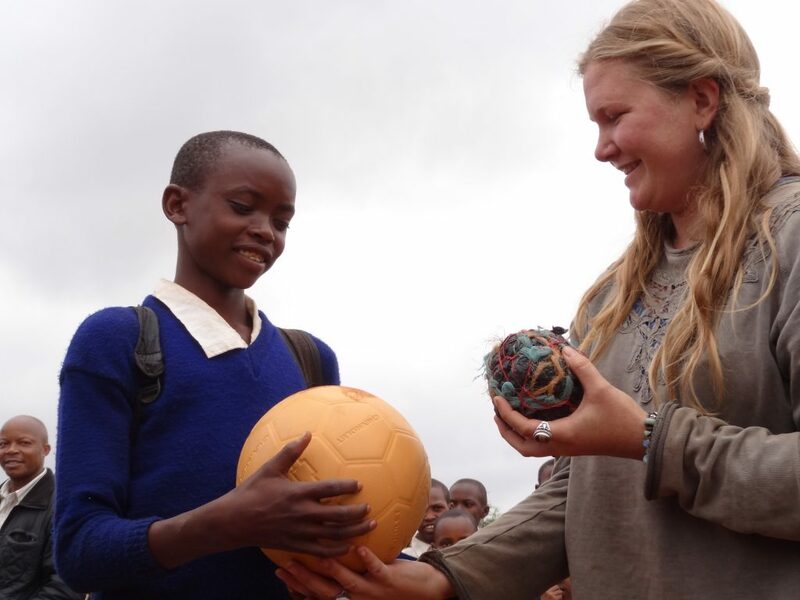 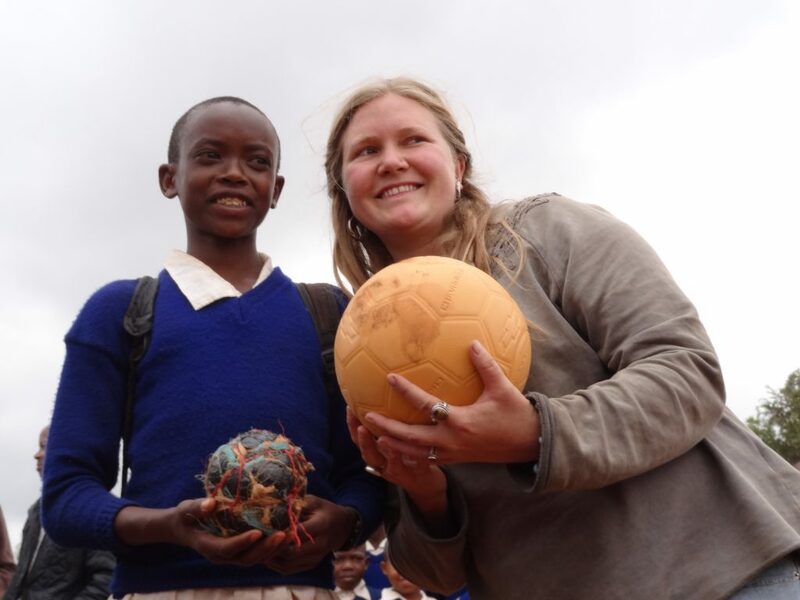 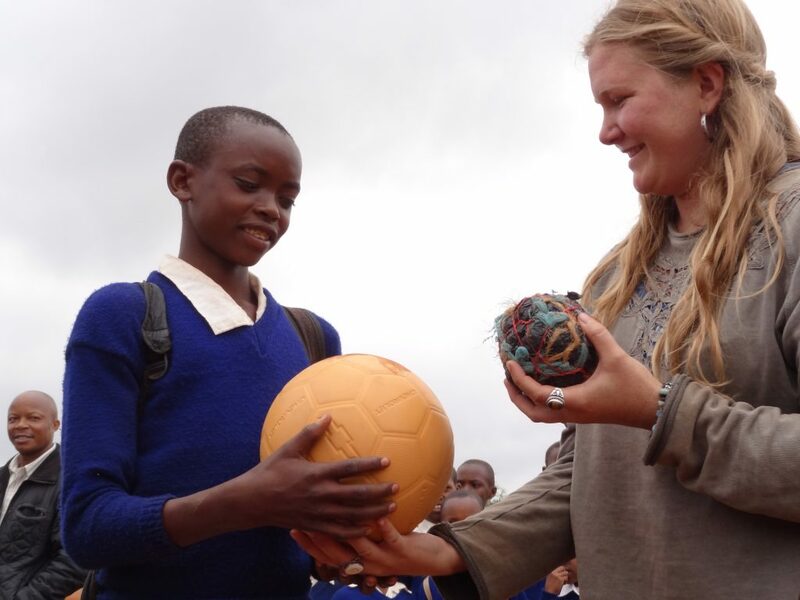 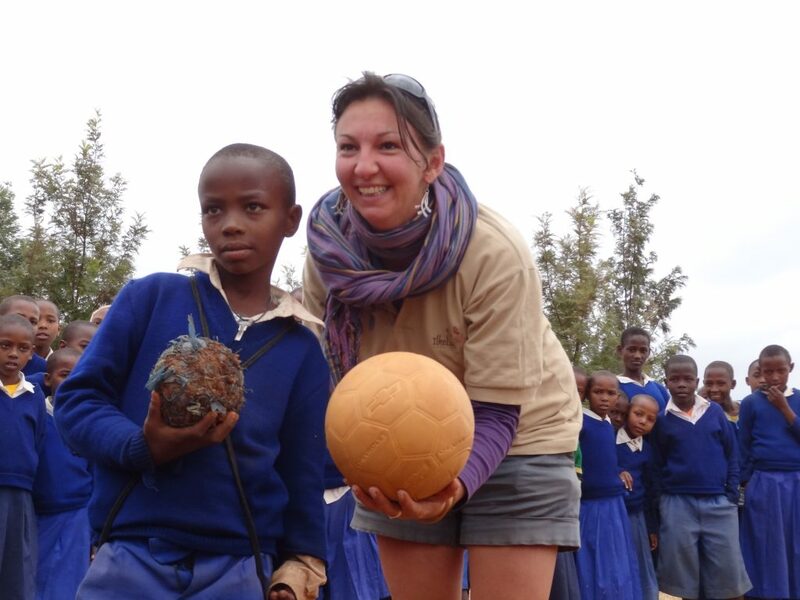 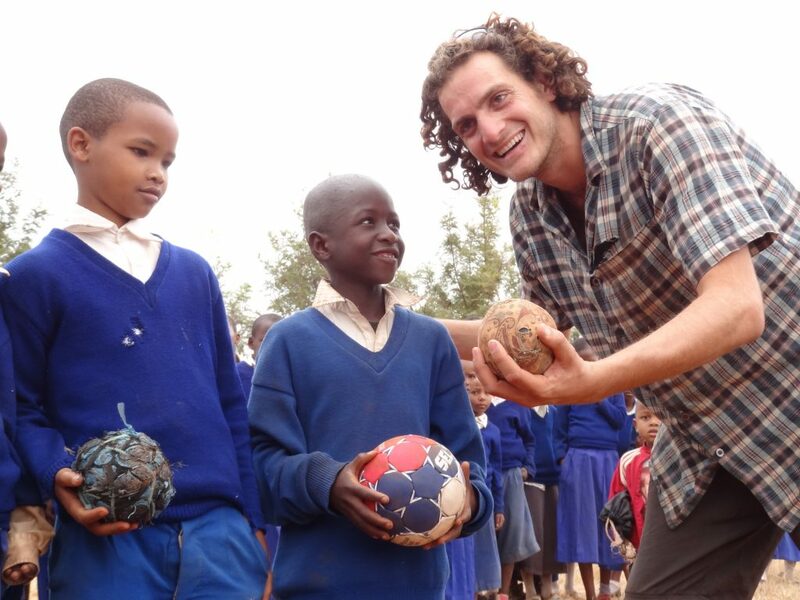 After the match, we exchanged the handmade footballs for our donated oneworldfutbols and select handballs for the youngest children. 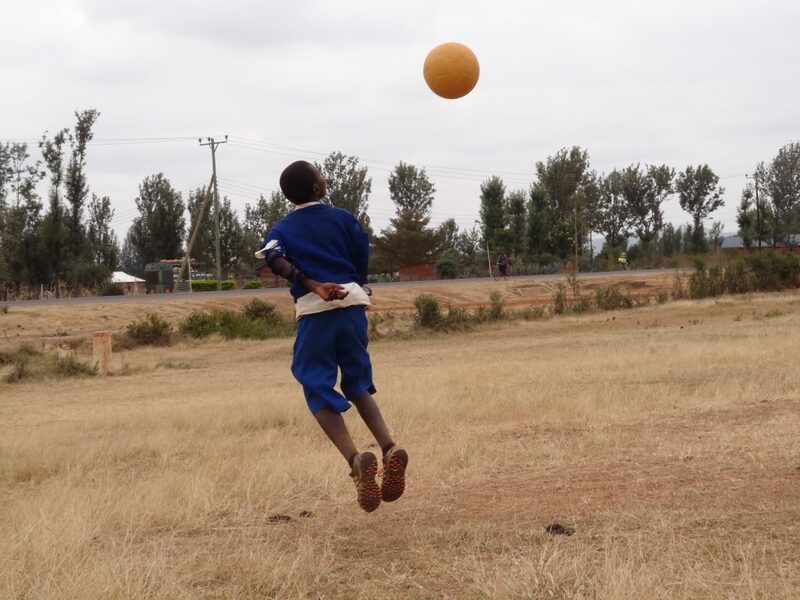 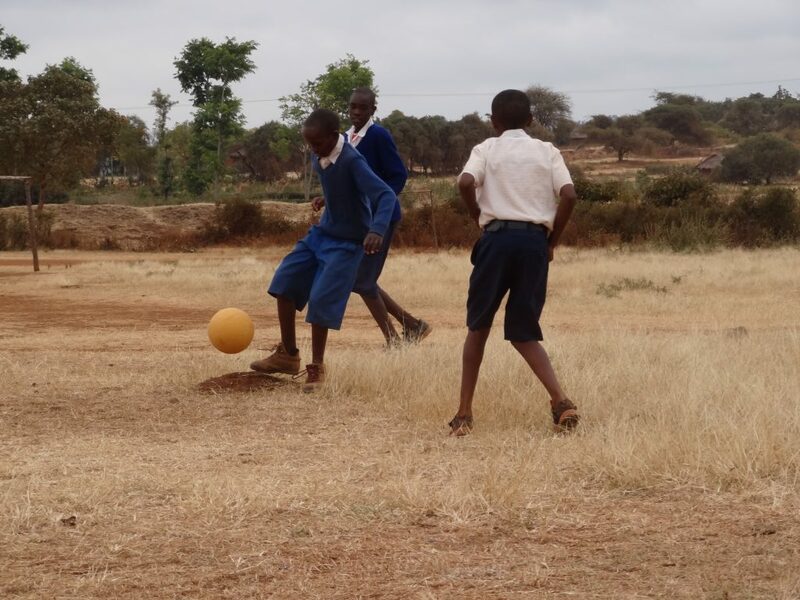 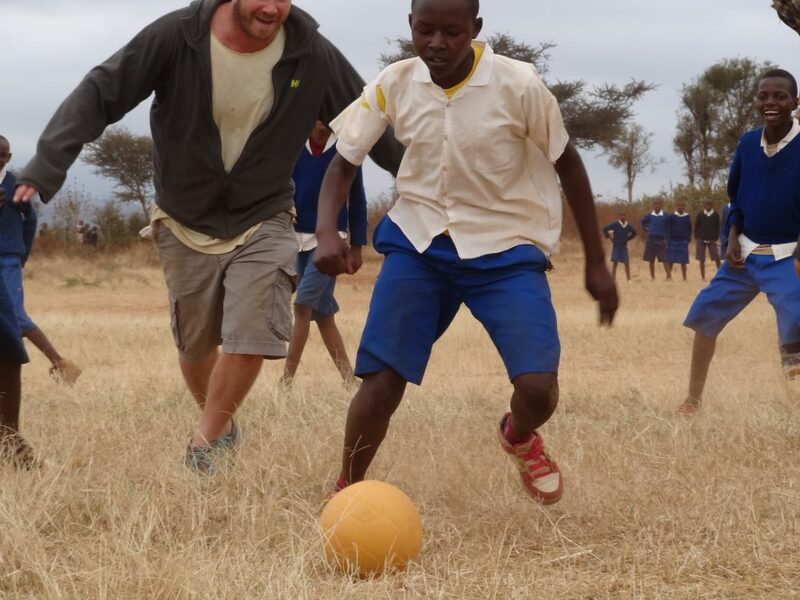 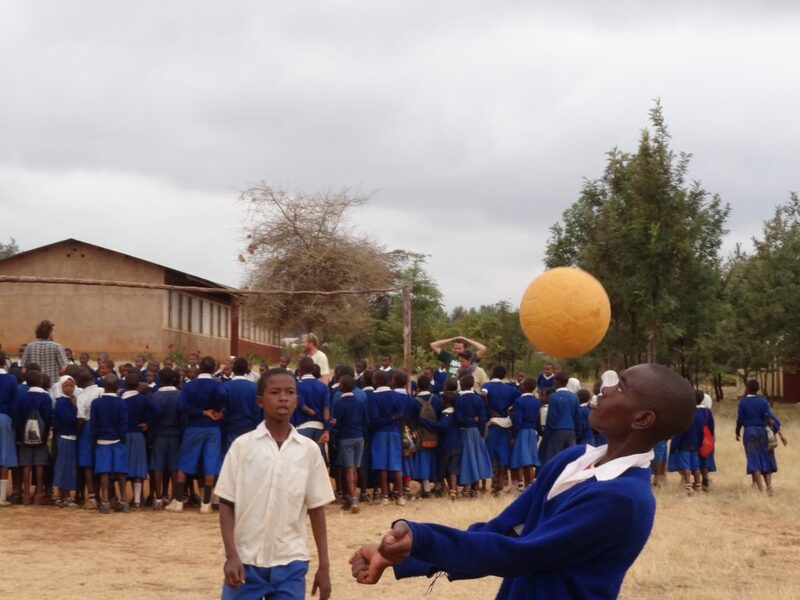 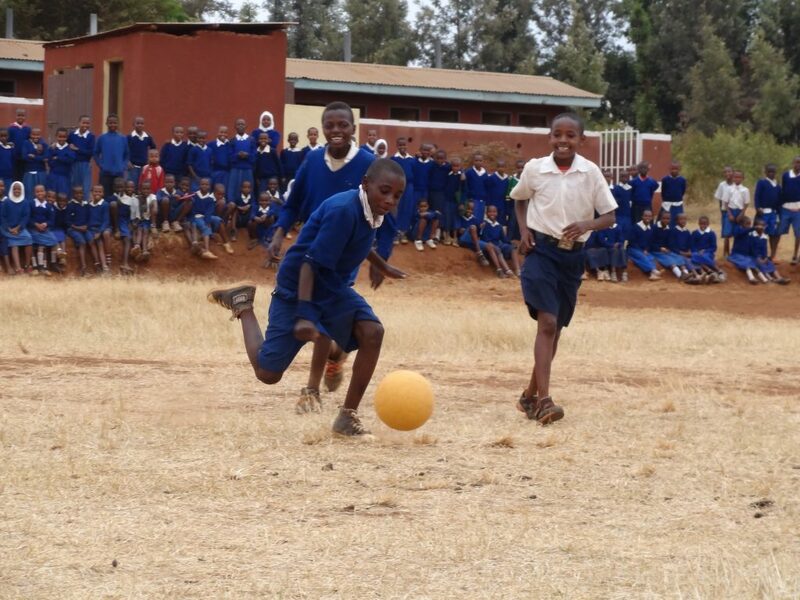 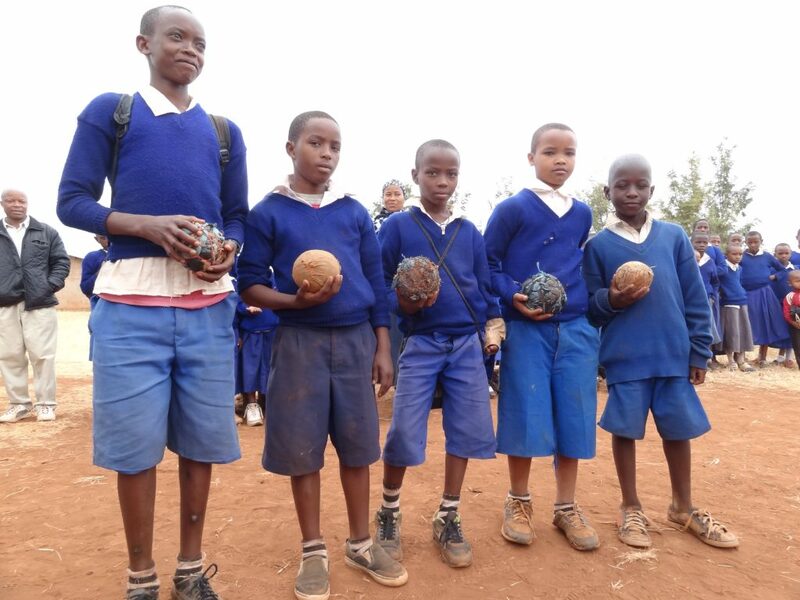 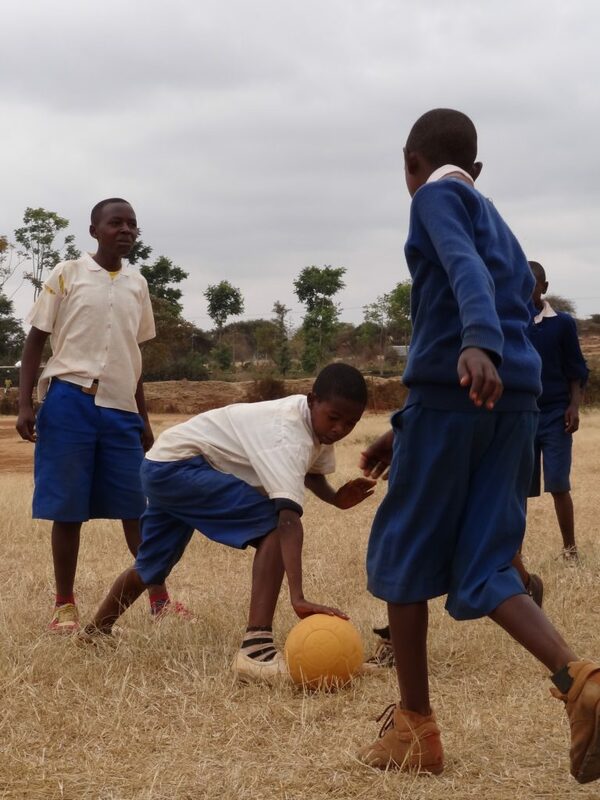 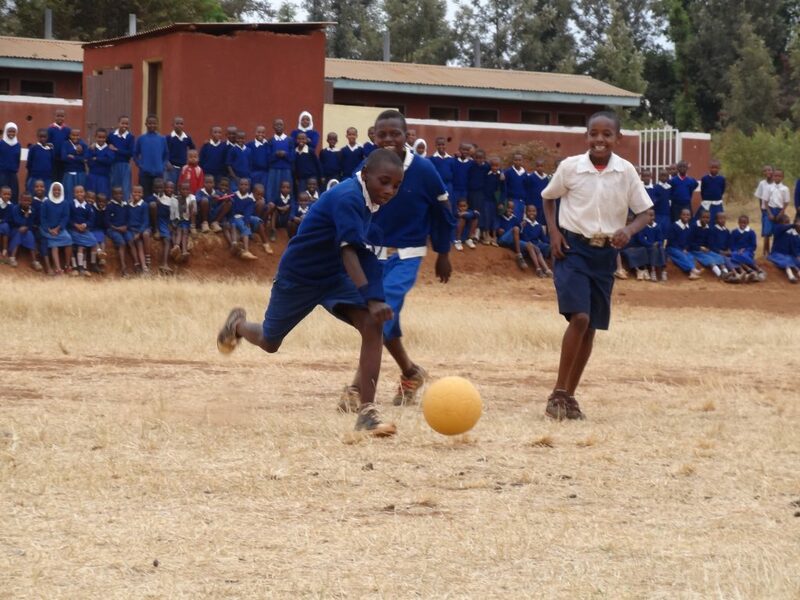 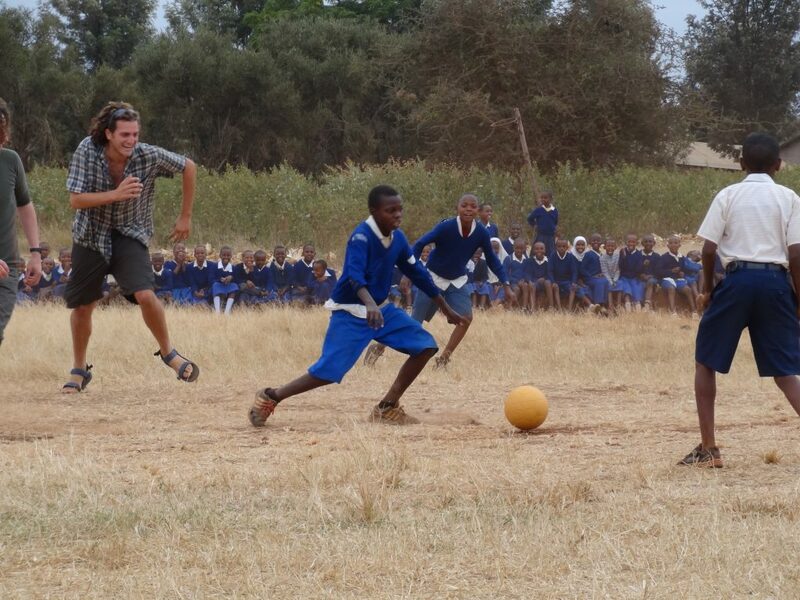 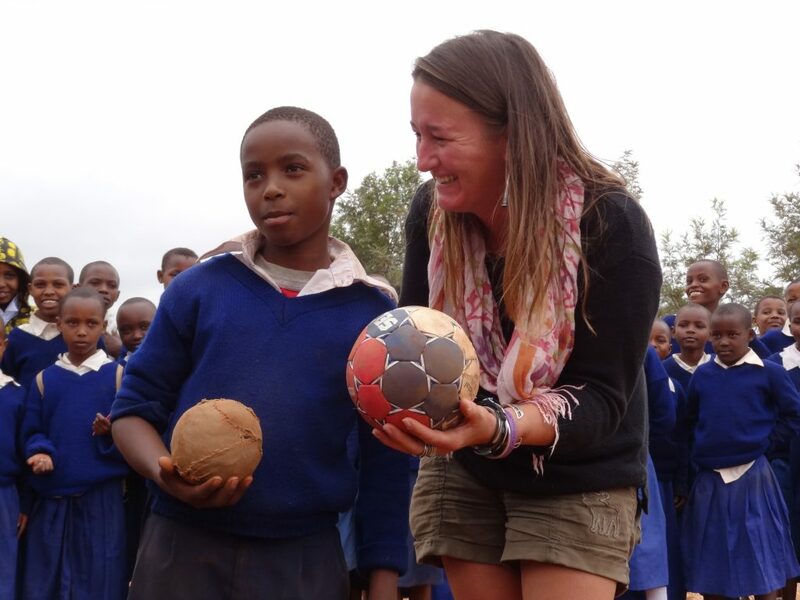 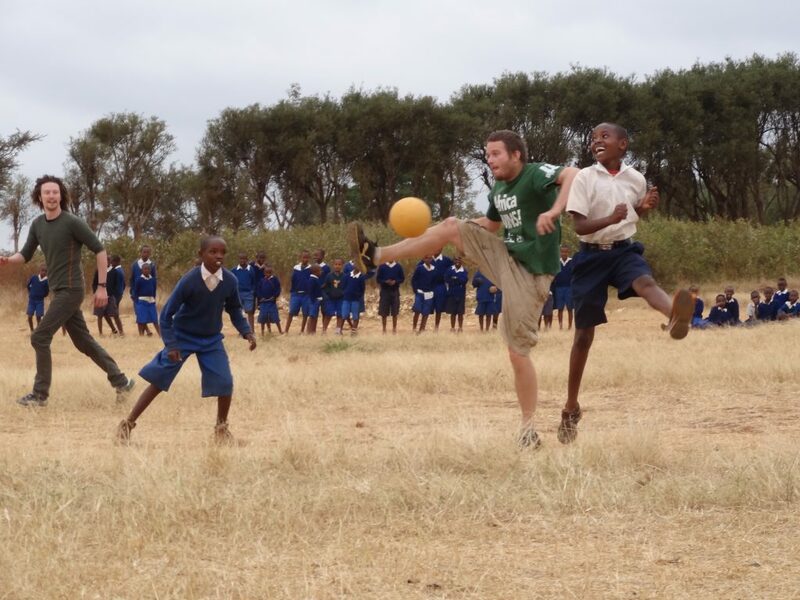 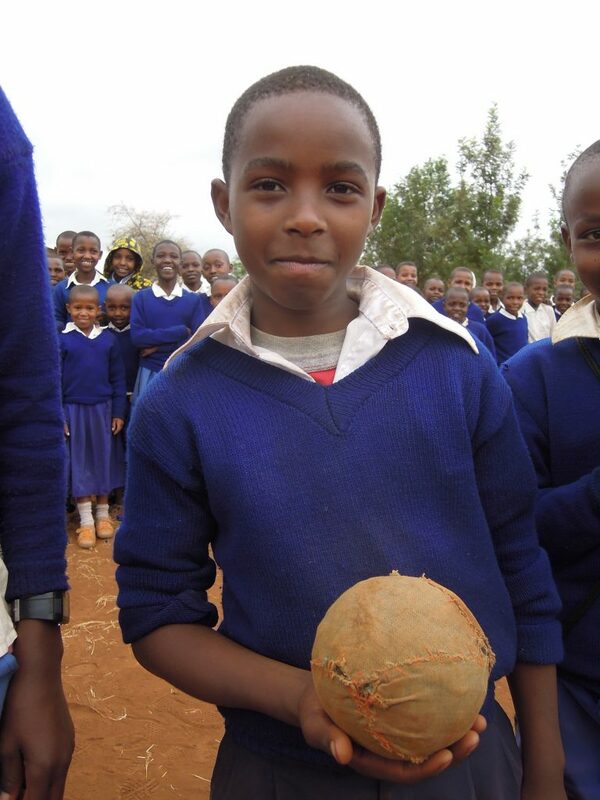 The Headmaster was also pleased to receive a Nike football for use by the school – for a rural school with limited resources, having a proper football is a rarity. 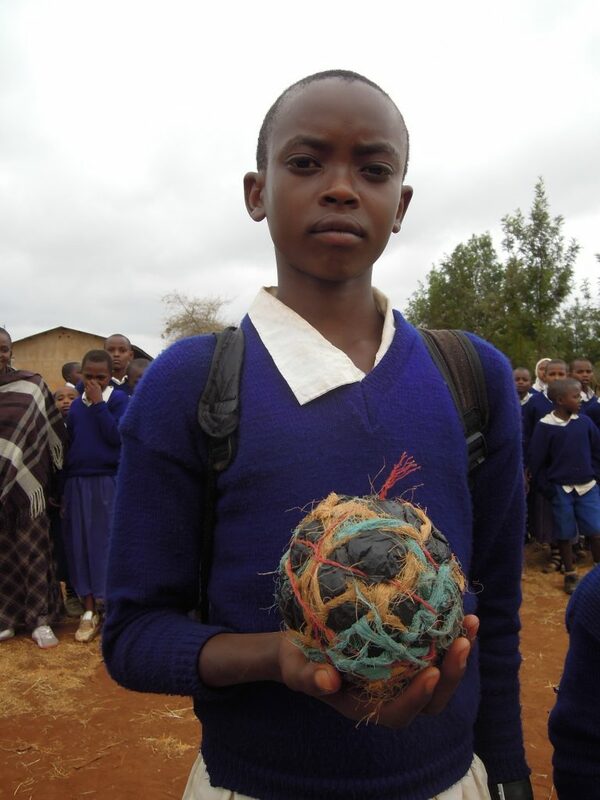 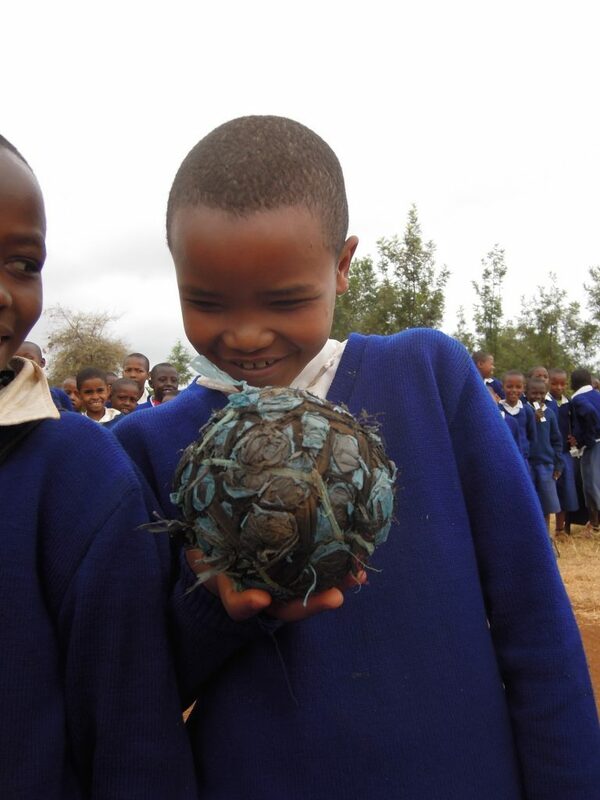 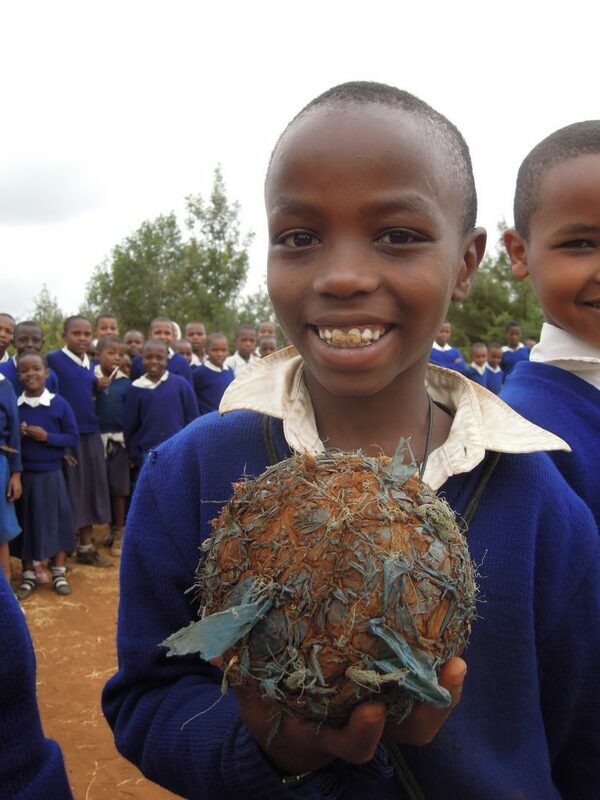 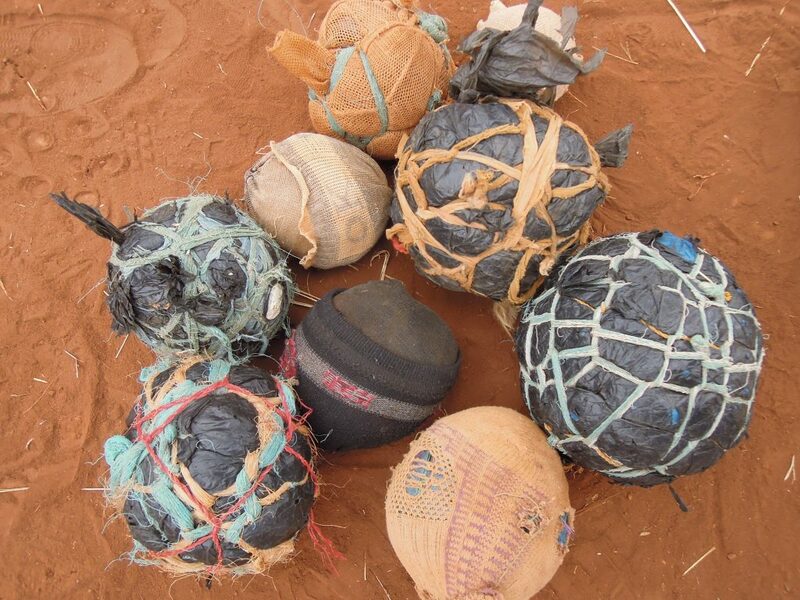 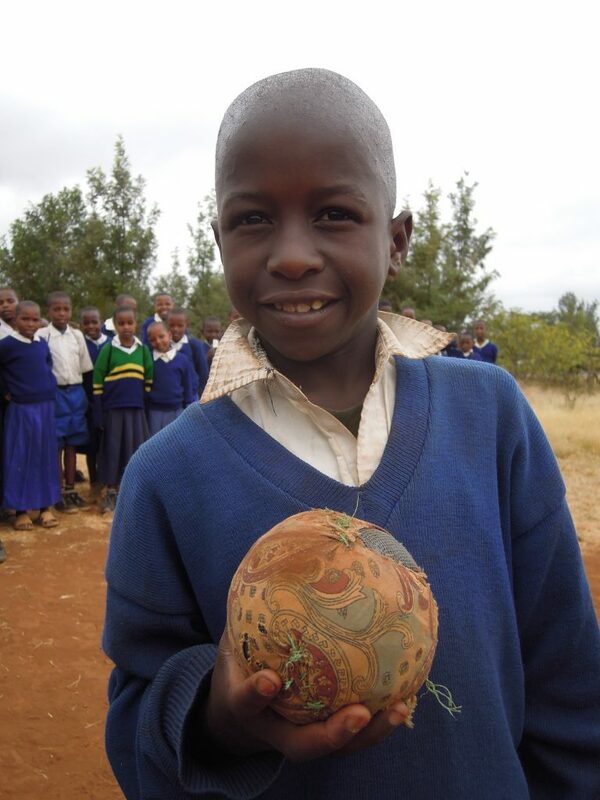 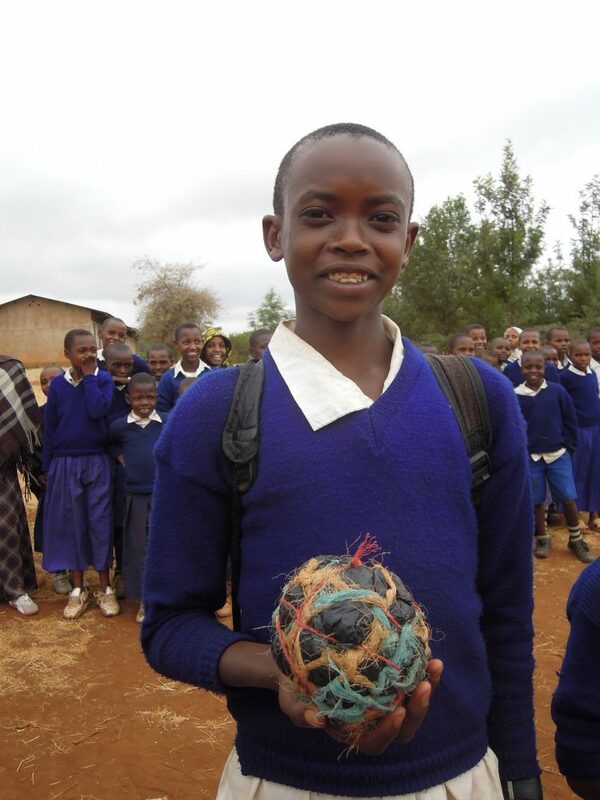 There was a surprising range of different handmade football styles including plastic bag bound balls, balls stitched from cloth offcuts and stuffed with wool and a foam ball wrapped with an old rice bag.